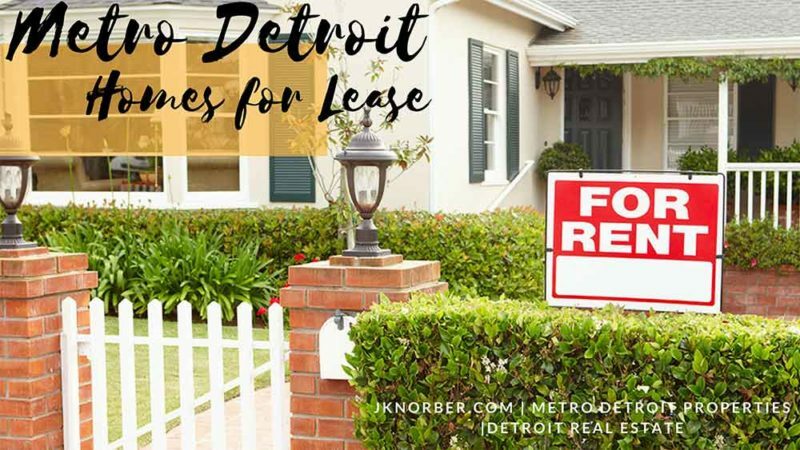 When it comes to homes for rent in Metro Detroit, you have many options. You can look for homes yourself, or use an experienced Reatlor® to help you sort through homes for lease in Metro Detroit. Call Joshua Norber and his team to help you achieve your family’s goals at 248-785-3737. Click here for Homes for Rent in Metro Detroit on the Map! These are the newest Metro Detroit area houses for rent in the database. Here are Metro Detroit Condos For Rent on the water. You will find Lake Access Condos in this database that include waterfront condos for rent, lake access or properties on the water such as river, canal or pond.